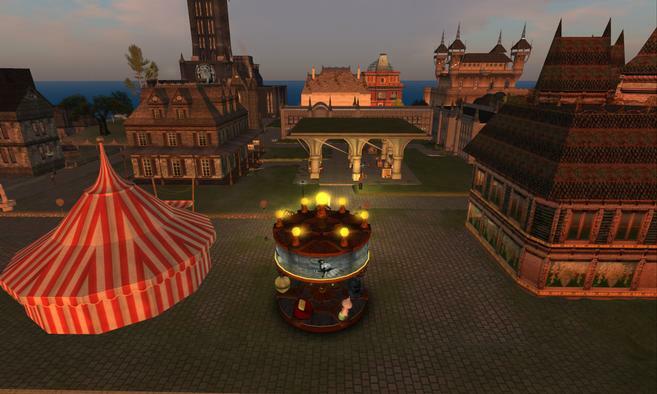 This is the opening scene to the story-cycle we are producing exclusively for Fantasy Faire 2015. 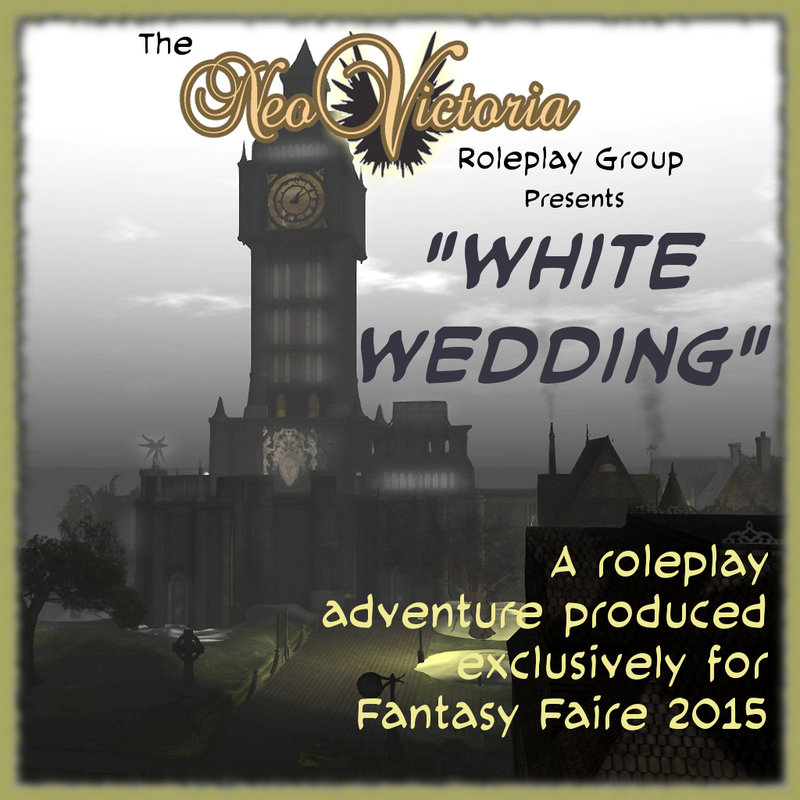 The story continues on 15 April in NeoVictoria SIM, when the groom makes his way to NeoLondon. We’ll bring our story of love and redemption to the Fairelands on Friday, 24 April, when our intrepid band of roleplayers land in the winter-city of Aurora! Two scientists marry: spellweaver Augustus Whitehill, sidhe of a minor house and his human bride, the mathematician Nourie Hadig. At the reception, they unveil their newest clockwerk creation: a machine that creates winter on a planetary scale. A terrible accident occurs: she is killed and he is cursed.